7 Oddball CES 2016 Gadgets: What Were They Thinking? Subject: 7 Oddball CES 2016 Gadgets: What Were They Thinking? While many CES 2016 gadgets were genuinely impressive, some were weird and others just plain silly. The annual Consumer Electronics Show in Las Vegas wrapped up Saturday. CES 2016 featured 3,600 companies showcasing everything from self-driving cars to the latest in wearable tech. For the most part, the CES 2016 gadgets offered a glimpse in to the future of tech. But every year, you'll see some products on the exhibit floor that should have been shot down at the brainstorming meeting. If humans can have a PlayStation or Xbox, why not a gaming console for dogs? That's the CleverPet Hub, a $299 device that uses three blinking lights to entertain the canine members of your household. Sure the dogs in the promotional video appear amused (see below), but is this device really that much of an improvement over a $10 squeaky chew toy from PetSmart? Forget PC-tablet hybrids. 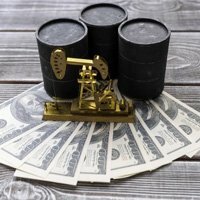 Samsung Electronics Co. Ltd. (OTCMKTS: SSNLF) trotted out a refrigerator-tablet hybrid at CES. 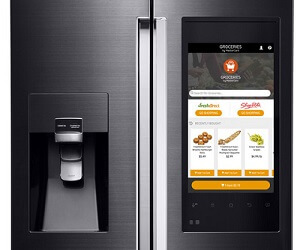 Yep, this fridge has a huge 21.5-inch touchscreen attached to the right-side door. And cameras inside let you see the contents of the fridge from your smartphone. But there are drawbacks. For one, connected devices like this have virtually no security and leave your home network open to hackers. And what happens when the tablet becomes obsolete in two or three years? Do you have to go out and buy a new fridge? (Samsung is counting on it.) The estimated price for this monstrosity, due in the spring, is $5,000. If ordinary shoes aren't enough to keep your feet warm, you can try a $450 Digitsole Smartshoe. You can regulate the temperature of this shoe from your smartphone via Bluetooth. And you can tighten or loosen them from the app as well. On a really cold day, you can crank these puppies up to 110 degrees. As long as you've remembered to charge up the battery, at least. And ladies, there's even a pump version of the Smartshoe. Or you can pop into a local Wal-Mart Stores Inc. (NYSE: WMT) for a pair of $2 foot warmers. Anything that combats baldness will get attention, even something that looks more like a toy than a personal care device. 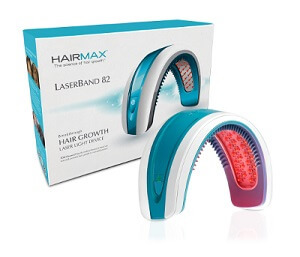 The HairMax LaserBand 82 has 82 lasers that stimulate the scalp, and hair growth, if worn three times a week for 90-second treatments. It doesn't cure baldness, but if the before-and-after pictures on the company website are to be trusted, the LaserBand does make a difference for those with thinning hair. (It also has FDA approval.) But the question again is whether a little more hair is worth the $795 cost of the LaserBand. Have you ever wondered how your dog spent its day? Wonder no more with the PitPat wearable activity tracker. The PitPat device tracks how many minutes your pooch spends running, walking, playing, and resting, which it zaps to a smartphone app via Bluetooth. The idea is to make sure your dog is healthy and active, but it seems like a solution in search of a problem. 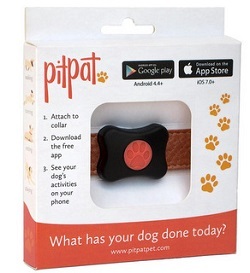 The UK-based company behind the PitPat is offering it for £39.99, or about $58. 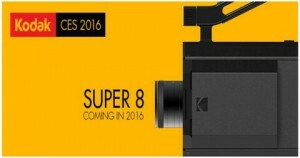 Apparently overwhelmed by nostalgia, Eastman Kodak Co. (NYSE: KODK) decided to revive the venerable Super 8 film camera on its 50th anniversary. Yes, the camera will shoot film that will have to be processed – although customers will be able to get a digital copy in addition to the processed film. Kodak's press release is chock full of endorsements from noted Hollywood personalities such as Steven Spielberg, Quentin Tarantino, and Steve McQueen. But with even smartphones able to shoot digital video in high definition, it's hard to imagine much demand for a reconstituted Super 8. Remember, it was stubborn devotion to its historic film business that drove Kodak into bankruptcy a few years ago. Dragging luggage around an airport is such a hassle. What if it just followed you around like a puppy? That's the idea behind NUA Robotics' smart luggage, which it expects to put on the market within a year or so. With a Bluetooth chip to connect to your smartphone and a camera to track its owner, the NUA luggage can follow at your heels – as long as you're walking on a flat surface. It can also charge your mobile devices, which actually sounds like a good idea. But self-propelled luggage might not work out so well. Most people move through airports in a hurry. Can the NUA luggage keep up? And what if the connection drops in a crowd and the luggage stays behind? The TSA officers won't be happy about that. For that matter, what if a thief grabs it? And look at the video below – the owner has to keep looking back at his luggage and can't watch where he's going. Not good. Luggage with wheels – now that was a breakthrough!